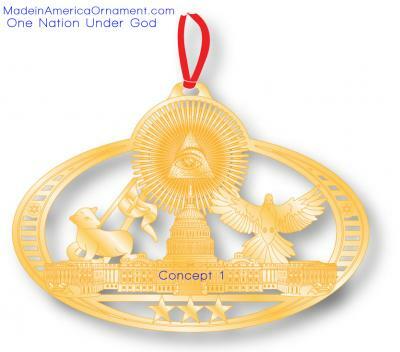 People have been asking me to come up with an ornament that is both patriotic and religious. So, I came up with symbols that all faiths recognize. The one that I worry is the All Seeing Eye. I view it as the Creator. 14:22 Blessed is the man that shall continue in wisdom, and that shall meditate in his justice, and in his mind shall think of the all seeing eye of God. Sirach, a sage who gathered his reflections, counsels and hymns probably around 190-180 B.C. on the threshold of the epoch of liberation that Israel lived under the guidance of the Maccabees. In 138 B.C. a grandson of this sage translated into Greek, as he tells us in the prologue of the volume, the work of his grandfather in order to offer these teachings to a wider circle of readers and disciples. The Book of Sirach is called "Ecclesiasticus" by the Christian tradition. Though it was not included in the Hebrew canon, this book, along with other "sapiential books", ended up setting forth the "Christian truth" ("veritas Christiana"). Thus the values proposed by this sapiential work entered into Christian education in the Patristic age, above all, in the monastic world, becoming a manual of practical behavior for the disciples of Christ. The Old Testament stories not included in the Protestant bibles are the books of the Apocrypha: 1 and 2 Maccabees, Sirach (Ecclesiasticus), Wisdom (Wisdom of Solomon), Baruch, Tobit, Judith, and additions to Daniel and Esther. 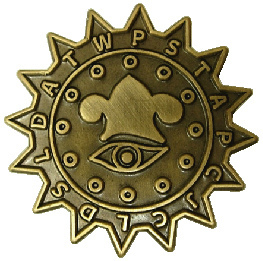 P.S.T.A.P.C.J.C.L.D.S.L.D.A.O.W., which was an abbreviation for "Private Seal of the Twelve Apostles, Priests of the Church of Jesus Christ of Latter-day Saints, in the Last Dispensation All Over the World encircles the ancient emblem of priesthood, a three-point Phrygian crown over the all-seeing eye of Jehovah. In 1793 United States of America coinage frequently showed liberty wearing the cap or, on many 19th Century pieces, holding it on a Liberty Pole. The cap's last appearance on circulating coinage was the Walking Liberty Half Dollar, which was minted through 1947 (and reused on the current bullion American Silver Eagle). The U.S. Army has, since 1778, utilized a "War Office Seal" in which the motto "This We'll Defend" is displayed directly over a Phrygian cap on an upturned sword. It also appears on the state flags of West Virginia (as part of its official seal), New Jersey, and New York, as well as the official seal of the United States Senate, the state of Iowa, the state of North Carolina (as well as the arms of its Senate, and on the reverse side of the Seal of Virginia. "Joseph Smith, The Originator of Mormonism"
The affidavits of the sons were read, and Mr. Smith was fully examined by the Court. It elicited little but a history of his life from early boyhood, but this is so unique in character, and so much of a key-note to his subsequent career in the world, I am tempted to give it somewhat in entenso. He said when he was a lad, he heard of a neighboring girl some three miles from him, who could look into a glass and see anything however hidden from others; that he was seized with a strong desire to see her and her glass; that after much effort he induced his parents to let him visit her. He did so, and was permitted to look in the glass, which was placed in a hat to exclude the light. He was greatly surprised to see but one thing, which was a small stone, a great way off. It soon became luminous, and dazzled his eyes, and after a short time it became as intense as the mid-day sun. He said that the stone was under the roots of a tree or shrub as large as his arm, situated about a mile up a small stream that puts in on the South side of Lake Erie, not far from the Now York and Pennsylvania line. He often had an opportunity to look in the glass, and with the same result. The luminous stone alone attracted his attention. This singular circumstance occupied his mind for some years, when he left his father's house, and with his youthful zeal traveled west in search of this luminous stone. On the request of the Court, he exhibited the stone. It was about the size of a small hen' a egg, in the shape of a high-instepped shoe. It was composed of layers of different colors passing diagonally through it. It was very hard and smooth, perhaps by being carried in the pocket. Joseph Smith, Sr., was present, and sworn as a witness. He confirmed, at great length all that his son had said in his examination. He delineated his characteristics in his youthful days -- his vision of the luminous stone in the glass -- his visit to Lake Erie in search of the stone -- and his wonderful triumphs as a seer. He described very many instances of his finding hidden and stolen goods. He swore that both he and his son were mortified that this wonderful power which God had so miraculously given him should be used only in search of filthy lucre, or its equivalent in earthly treasures, and with a long-faced, "sanctimonious seeming," he said his constant prayer to his Heavenly Father was to manifest His will concerning this marvelous power. He trusted that the Son of Righteousness would some day illumine the heart of the boy, and enable him to see His will concerning him. These words have ever had a strong impression on my mind. They seemed to contain a prophetic vision of the future history of that mighty delusion of the present century, Mormonism. The "old man eloquent," with his lank and haggard vissage -- his form very poorly clad -- indicating a wandering vagabond rather than an oracle of future events, has, in view of those events, excited my wonder, if not my admiration. The next witness called was Deacon Isaiah Stowell. He confirmed all that is said above in relation to himself, and delineated many other circumstances not necessary to record. He swore that the prisoner possessed all the power he claimed, and declared he could see things fifty feet below the surface of the earth, as plain as the witness could see what was on the Justices' table, and described very many circumstances to confirm his words. Justice Neeley soberly looked at the witness, and in a solemn, dignified voice said: "Deacon Stowell, do I understand you as swearing before God, under the solemn oath you have taken, that you believe the prisoner can see by the aid of the stone fifty feet below the surface of the earth; as plainly as you can see what is on my table?" "Do I believe it?" says Deacon Stowell; "do I believe it? No, it is not a matter of belief: I positively know it to be true." These scenes occurred some four years before Smith, by the aid of his luminous stone, found the Golden Bible, or the Book of Mormon. The writer may at some subsequent day give your readers a chapter on its discovery, and a synopsis of its contents. It is hardly necessary to say that, as the testimony of Deacon Stowell could not be impeached, the prisoner was discharged, and in a few weeks left the town. The Hebrew words Aurzm, and Thummim, have been variously translated by commentators. The Septuagint translates them, "manifestation and truth"; the Vulgate, "doctrine and truth:" A quila, "lights and perfections" Kalisch, "perfect brilliancy" but the most generally received interpretation is, "light and truth. "What the Urim and Thummim were has also been a subject of as much doubt and difference of opinion. Suddenly introduced to notice by Moses in the command in Exodus (xxviii,30) "and thou shalt put in the breastplate of judgment the Urim and the Thummim"—as if they were already familiar to the people— we know only of them from the Scriptural account, that they were sacred lots to be worn concealed in or behind the breastplate, and to be consulted by the High Priest alone, for the purpose of obtaining a revelation of the will of God in matters of great moment. Some writers have supposed that the augury consisted in a more splendid appearance of certain letters of the names of the Tribes inscribed upon the stones of the Breastplate; others, that it was received by voice from two small images which were placed beyond the folds of the Breastplate. A variety of other conjectures have been hazarded, but as Godwyn (Moses and Aaron iv, 8) observes, "he spoke best, who ingeniously confessed that he knew not what Urimand Thummim was." Whatever may have been the precise forms of these mysterious objects, and there is yet much uncertainty aboutt hem in the minds of scholars, there seems no doubt that they were essential elements of the sacred oracle by which the Hebrews of old endeavored to find out the will of God. Urim has been suggested as meaning guilt, and Thummin, innocence, and these widely contrasting ideas may have had none other than acomprehensive Significance of the scope represented by the two, the Urim and Thummin; all that was light and dark, clean and unclean, stood before the Lord in this appeal for the Divine Guidance. by dreams, not by Urim, nor by prophets. The opinion now almost universally accepted is that the Jewish lawgiver borrowed this, as he did the Ark, the Brazen Serpent, and many other of the symbols of his theocracy, from the usages so familiar to him of the Egyptian Priests, with which both he and Aaron were familiar, eliminating, of course, from them their previous heathen allusion and giving to them a purer signification. In reference to the Urim and Thummim, we know not only from the authority of ancient writers, but also from the confirmatory testimony of more recent monumental explorations, that the judges of Egypt wore golden chains around their necks, to which was suspended a small figure of Theme, the Egyptian goddess of Justice and Truth. "Some of these breastplates," says Gliddon, Ancient Egypt (page 32),"are extant in European museums; others are to be seen on the monuments as containing the figures of two deities—Ra, the sun, and theme. These represent Ra, or the sun, in a double capacity, physical and intellectual light; and theme in a double capacity justice and truth." Neither in the ancient Craft nor in Royal Arch Masonry have the Urim and Thummim been introduced; although Oliver discusses them, in his Landmarks, as a type of Christ, to be Masonically applied in his peculiar system of a Christian interpretation of all the Masonic symbols. But the fact is that after the construction of the Temple of Solomon we hear no more of the consultation by the priests of the Urim and Thummim. They seem to have given way to the audible interpretation of the divine will by the prophets. That would necessarily disconnect them from Freemasonry as symbols and these symbols are there fore not to be accepted even by those who place the foundation of the Order at the Solomonic era. However, they have been introduced as a symbol in to some of the continental high Degrees. Thus, in the last Degree of the Order of brothers of Asia, the presiding officer wears the Urim and Thummim suspended from a golden chain as the jewel of his office. Reghellini, Esprit du dogme or Genius of Dogma (page 60), thus gives the continental interpretation of the symbols:" The folly of Solomon is commemorated in the instructions and ceremonies of a high Degree, where the Acolyte is reminded that Solomon, becoming arrogant, was for a time abandoned by the Divinity, and as he was, although the greatest of kings, only a mortal, he was weak enough to sacrifice to idols, and thereby lost the communication which he had previously had through the Urim and Thummim. These two words are found in a Degree of the Maître écossais, or Scottish Master. The Venerables or Worshipful Masters of the Lodges and the Sublime Masters explain the legend to their recipients of an elevated rank, as intended to teach them that they should always be guided by reason, virtue, and honor, and never abandon themselves to an effeminate life or silly superstition." 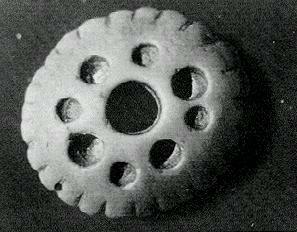 Doctor Mackey concluded that it was undeniable that Urim and Thummim have no legitimate existence as Masonic symbols, and that they can only be considered such by a forced and modern interpretation. And Dauid danced before the Lorde with al his might, & was girded with a linnen Ephod. Then David came dancing before the LORD with abandon, girt with a linen ephod. Sardonyx is a onyx variant in which the colored bands are sard (shades of red) rather than black. 28:1 1 “And you, bring near to you your brother Aaron and his sons with him from among the Israelites, so that they may minister as my priests – Aaron, Nadab and Abihu, Eleazar and Ithamar, Aaron’s sons. 28:2 You must make holy garments for your brother Aaron, for glory and for beauty. 28:3 You are to speak to all who are specially skilled, whom I have filled with the spirit of wisdom, so that they may make Aaron’s garments to set him apart to minister as my priest. 28:4 Now these are the garments that they are to make: a breastpiece, an ephod, a robe, a fitted tunic, a turban, and a sash. They are to make holy garments for your brother Aaron and for his sons, that they may minister as my priests. 28:5 The artisans are to use the gold, blue, purple, scarlet, and fine linen. 28:6 “They are to make the ephod of gold, blue, purple, scarlet, and fine twisted linen, the work of an artistic designer. 28:7 It is to have two shoulder pieces attached to two of its corners, so it can be joined together. 28:8 The artistically woven waistband of the ephod that is on it is to be like it, of one piece with the ephod, of gold, blue, purple, scarlet, and fine twisted linen. 28:10 six of their names on one stone, and the six remaining names on the second stone, according to the order of their birth. 28:11 You are to engrave the two stones with the names of the sons of Israel with the work of an engraver in stone, like the engravings of a seal; you are to have them set in gold filigree settings. 28:12 You are to put the two stones on the shoulders of the ephod, stones of memorial for the sons of Israel, and Aaron will bear their names before the Lord on his two shoulders for a memorial. 28:14 and two braided chains of pure gold, like a cord, and attach the chains to the settings. 28:15 “You are to make a breastpiece for use in making decisions, the work of an artistic designer; you are to make it in the same fashion as the ephod; you are to make it of gold, blue, purple, scarlet, and fine twisted linen. 28:16 It is to be square when doubled, nine inches long and nine inches wide. 28:20 and the fourth row, a chrysolite, an onyx, and a jasper. They are to be enclosed in gold in their filigree settings. 28:21 The stones are to be for the names of the sons of Israel, twelve, according to the number of 31 their names. Each name according to the twelve tribes is to be like the engravings of a seal. 28:23 and you are to make for the breastpiece two gold rings and attach the two rings to the upper 34 two ends of the breastpiece. 28:25 the other two ends of the two chains you will attach to the two settings and then attach them to the shoulder pieces of the ephod at the front of it. 28:26 You are to make two rings of gold and put them on the other two ends of the breastpiece, on its edge that is on the inner side of the ephod. 28:27 You are to make two more gold rings and attach them to the bottom of the two shoulder pieces on the front of the ephod, close to the juncture above the waistband of the ephod. 28:28 They are to tie the breastpiece by its rings to the rings of the ephod by blue cord, so that it may be above the waistband of the ephod, and so that the breastpiece will not be loose from the ephod. 8:29 Aaron will bear the names of the sons of Israel in the breastpiece of decision over his heart when he goes into the holy place, for a memorial before the Lord continually. 28:31 “You are to make the robe of the ephod completely blue. 28:32 There is to be an opening in its top in the center of it, with an edge all around the opening, the work of a weaver, like the opening of a collar, so that it cannot be torn. 28:33 You are to make pomegranates of blue, purple, and scarlet all around its hem and bells of gold between them all around. 28:34 The pattern is to be a gold bell and a pomegranate, a gold bell and a pomegranate, all around the hem of the robe. 28:35 The robe is to be on Aaron as he ministers, and his sound will be heard when he enters the Holy Place before the Lord and when he leaves, so that he does not die. 28:38 It will be on Aaron’s forehead, and Aaron will bear the iniquity of the holy things, which the Israelites are to sanctify by all their holy gifts; it will always be on his forehead, for their acceptance before the Lord. 28:39 You are to weave the tunic of fine linen and make the turban of fine linen, and make the sash the work of an embroiderer.